Whether you?re a professional athlete or a serious body builder, you?re no stranger to creatine. In fact, in all likelihood, it is an integral part of your fitness schedule and for good reasons. Yet, all creatines are not at par. Before you make the switch, you should get your facts right on creatine, the most researched supplement so far. Creatine is an essential amino acid produced by the body. It plays a key role in transporting and storing energy in every cell. The body processes creatine in the kidney and liver. Research shows that creatine is more effective in high-intensity training, and explosive activities, like weight training, as well as sports that need short bursts of energy, such as football, baseball or sprinting. Creatine plays a key role in transporting and storing energy in every cell. The adult human body contains 80 g-130 g of creatine. With normal activity you get to spend only 2 to 4g creatine per day, but if you are active physically and mentally, the need for creatine increases to 5g per day. The body produces half of the creatine needed daily, and the rest needs to be ingested through food and supplements. Though creatine is not an energy drink still it gives you enough energy to sustain more reps.
Adenosine triphosphate (ATP) is the energy currency stored in your muscle cells in the energy reserve, phosphate creatine reservoir (PCr). Each time muscle cells contract during a workout it loses a phosphate and changes into ADP (Adeno-di-phosphate). The dichotomy is that the body can't use ADP to gain energy. Hence it dips in the energy reserve, phosphate creatine reservoir (PCr) during an intense activity to borrow a phosphate to transform ADP into ATP, the acceptable energy currency for the body. Here, lies the paradox. 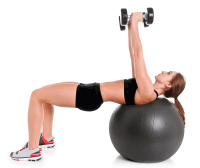 Creatine has a critical role in managing your energy mechanism. This much is sure that fierce workouts and intense sports activity deplete your energy reserve causing fatigue. Now, if you want to move out of your fitness rut, you need to do that do a set or two more and here you need an extra dash of energy provided by creatine. 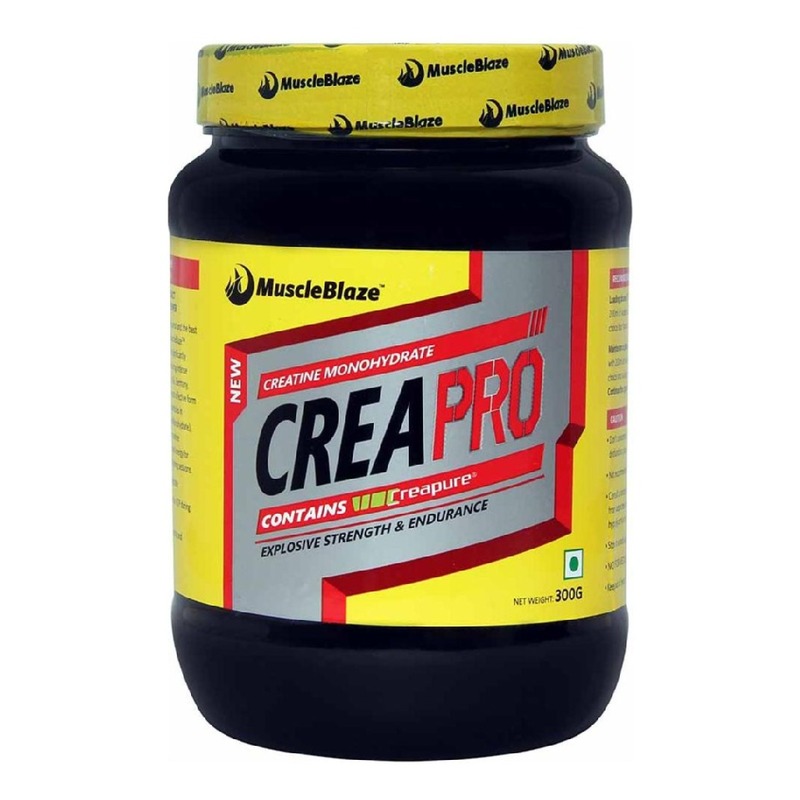 Count on the purest creatine, Creapure to power your fitness sessions and see the difference. Manufactured by AlzChem AG in Germany, Creapure is the purest form of creatine available. While most creatine available in the market has a creatine content of around 99.9 percent, Creapure is 99.99 percent pure creatine, which makes it the best creatine available for fitness fanatics and athletes, as the difference of 0.09 percent could have a substantial effect on their performance. Purer than other creatine available in the market Creapure with a higher concentration of phosphocreatine replenishes your ATP reserve sooner, which enables you to last longer in the gym. Your number of reps increase which will show in your muscle growth. The benefits of creapure will show in a larger muscle mass. Initially, the muscle swell will come from water because creatine pulls water in your muscle cells to trigger protein synthesis, but later it will be muscles, an outcome of your extended workout. The users of creatine also notice a smaller decrease in muscle pH during exertion. Certainly, creatine supplementation is extremely beneficial in sports that require speed, such as sprinting, long jump, swimming. 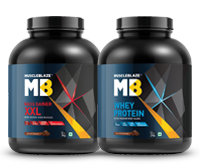 For bodybuilders engaged in intensive strength training creatine supplementation works to improve performance in the areas of maximum strength and endurance. And, if the creatine is creapure, the purest creatine available, ergogenic benefits multiply. Usually, creatine is taken in loading and maintenance phase. In the loading phase. 20g of creatine is consumed for 5 days to saturate muscle cells with creatine. Rather than having it all in one go, break it in four doses of 5g spaced out in a day. Mix it with 200 ml of water and non-acidic beverage of your choice. 5 g suffices for maintenance therapy lasting for 21 days, preferably post workout. A daily dose of 5 g is recommended. Endeavour to take creatine with caffeine-free beverages, such as water, fruit juice or warm tea (which improves solubility). Once you start to supplement creatine, please ensure that you drink enough fluids. It?s recommended to drink 100 ml of liquid for 1 g of creatine. Avoid storing creatine and consume it fresh, because creatine does not stay stable for long in liquids. Since all creatines are not equal, now is the time to move on to Creapure, the purest creatine available and see your fitness standards and performance catapult to a new league.